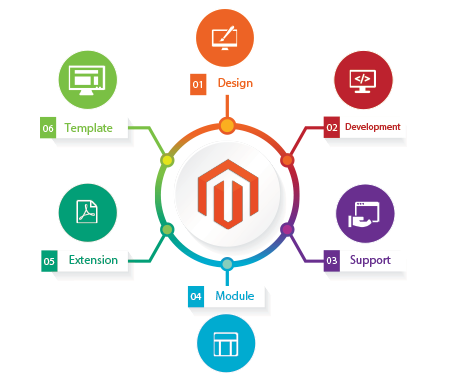 Magento is an open source software that is currently being used ecommerce platform by many businesses around the world. Magento was released fairly recently, but rapidly risen in popularity since then. Magento has several built-in features that are usually available only as additional plugins or modules in other ecommerce platforms. In addition to which Magento also allows use of Widgets. Widgets make it possible to add information and marketing content from the Admin Panel with breeze. These widgets can be displayed at strategic positions to maximize their worth. Widgets can be used to highlight products by using their link or even an image. At the same time, it is also possible to add links to the products categories. Widgets can be selectively placed on just about any page. A widget can be both client side and server side. The advantage of it being client side is that it can be made more interactive and presented better. Promotional images can also be placed on the widgets. The widgets can be configured to handle many different elements, like flash action, elements and even navigation blocks. At Alakmalak we encourage you to discuss your thoughts and ideas and help develop your solution in the right manner. The always go out of their way the get the job done. After being established in 2006, they have grown steadily and continue to do. The reason they are so successful is that they provide professional solutions to suit every businesses need. With a client base extending over 20 countries and having completed more than 2000 websites you cannot go wrong it you pick us. How to Change Joomla Website Database Prefix?